Sequencing is all about arranging information, objects, and actions into a particular serial order. Early on, we learn sequencing when we learn to speak - language is sounds and words produced in a specific order to achieve a certain result. Understanding how to sequence language leads to the development of more advanced sequencing skills, like performing actions in a certain order to complete tasks. We use these skills in every part of our lives. Getting dressed, reading, telling stories, completing math problems, and finishing household chores all involve sequencing. independently perform activities of daily living. Many individuals with weak sequencing skills have trouble with language from a young age. They might use incorrect verb tenses well after an age when you would expect them to speak correctly, or they might scramble the order of words in longer sentences. These early language issues can cause sequencing problems later in life, but they are not the only source of problems. Deficits in working memory and attention can also be related to sequencing. Improvement in these areas supports the development of stronger sequencing skills. 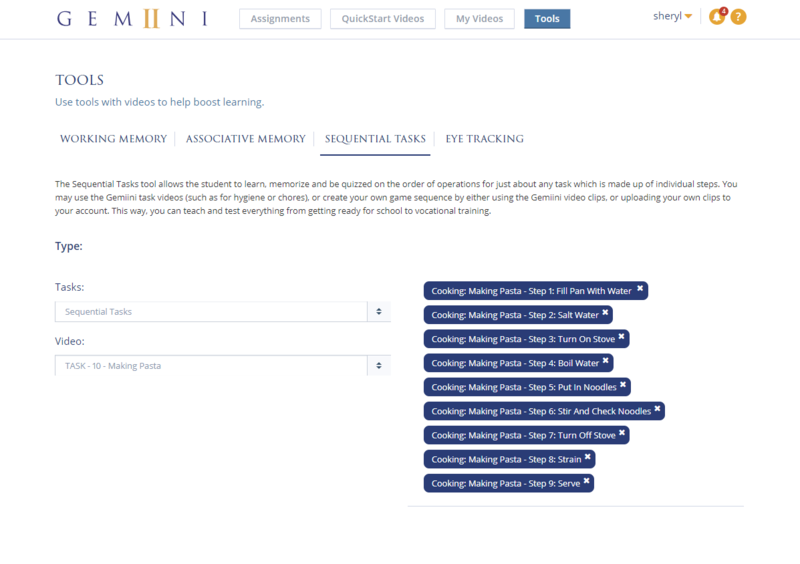 With Gemiini's Sequential Tasks tool, you can set up activities for your students to practice sequencing skills on their own. 1. Log in to your Managing Account. 3. Select "Sequential Tasks" on the Tools page. 4. 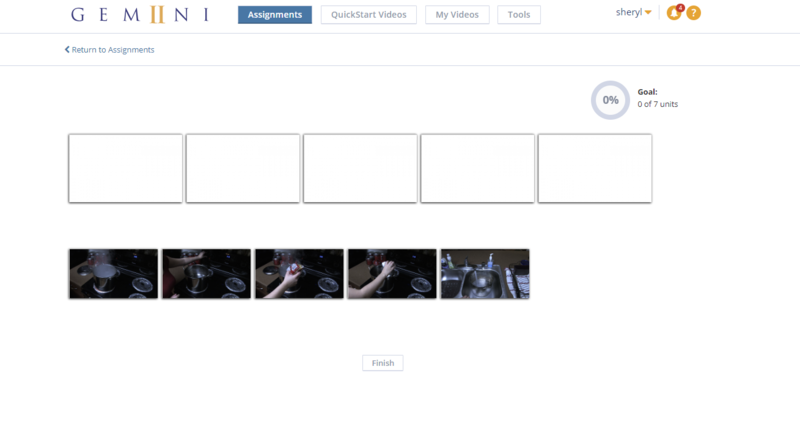 Set the type of of Task to "Sequential Tasks" to use one of our pre-made task videos, or use "Select a Custom task" to create your own sequence from a custom assignment you have saved in your videos. If you select Sequential Tasks, use the Video menu to select a task. If you choose select a Custom Task, you will be prompted to select one of your custom videos from the modal that appears on the screen. 5. Once you have chosen your task, a list of the steps involved in the activity displays. If you've selected a Custom Task, the list of steps will be created from the clips in your video. 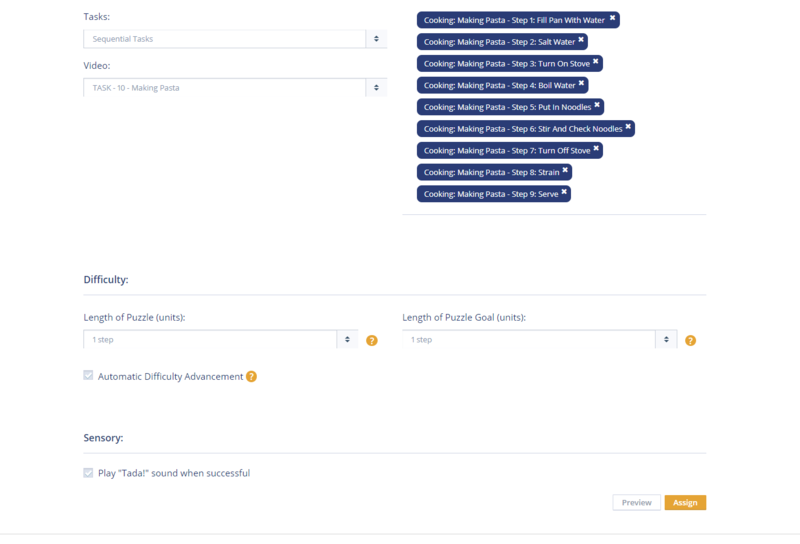 You can customize tasks by rearranging the order of steps, or by removing steps from the activity you are not currently teaching. 6. Set the Length of Puzzle (Units) to the number of steps you would like to practice. Starting from the beginning of the task, the student will only see and be quizzed on this number of steps. 7. Toggle Automatic Difficulty Advancement to determine whether the length of the puzzle will automatically increase or decrease as the student gives right or wrong answers. 8.Toggle Play "Tada!" Sound When Successful to enable/disable the sound effect after a correct answer. When you're ready to begin, select Play to start the activity. When it begins, a short video will play, showing the initial steps in the task that you chose. After the video, your student will be shown an assortment of images that represent each step. They should select each picture in the order each step was shown. They will then find out if they were correct. If they don't meet their goal, they'll be given an option to try again. Select "Finish" when you're ready to quit the activity. Improving sequential processing promotes independence and academic growth and strengthens working memory, language skills, and attention. 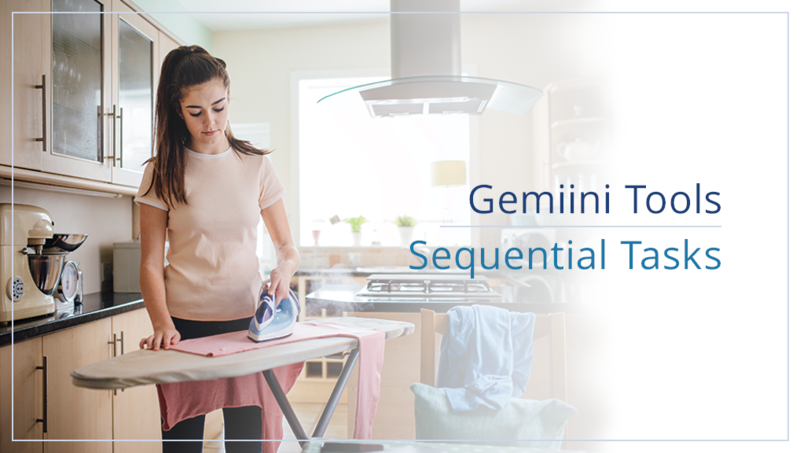 With our Sequential Tasks Tool, you can teach and test sequences for everything from getting ready for school to vocational training. 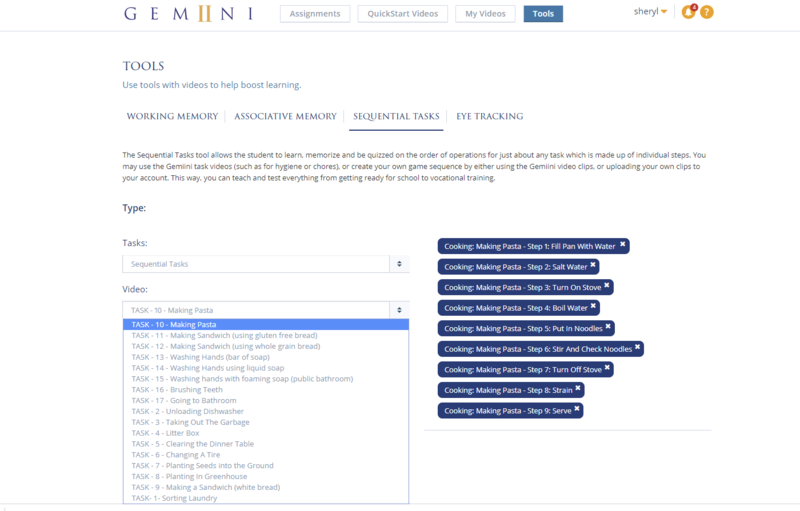 Log in to Gemiini to set up an activity for your students today!